We are very pleased to announce that from the end of March 2014 we will be hosting here at Princeway a 'Community Ultrasound Service'. Currently patients will have to attend either Halton or Chester for this important diagnostic service. We are pleased to be the the first to offer this service here in Princeway. The service will be provided for all three sets of practice patients and will be available in Diagnostic Suite on the first floor. The Practice is fully equipped to carry-out minor surgical procedures. These are normally performed in the Treatment Room on Monday afternoon. Your doctor will refer you for surgery following which an appointment will be sent by post. This will be approximately 2-3 weeks before the procedure is to be carried out. The surgery also has facilities for the treatment of minor injuries such as lacerations, bruises, dislocations, burns or the removal of foreign bodies including those in the eyes. You should report to the Receptionist who will make the necessary arrangements for you to be seen by a doctor or a nurse. All the doctors in the practice have postgraduate training in Family Planning and will provide advice on all forms of contraception and coil fittings where required. Appointments are available during normal surgery hours. Emergency Contraception is also available. Pregnancy testing and all antenatal and postnatal care is available through the surgery in association with the community Midwives and hospital Obstetrician. 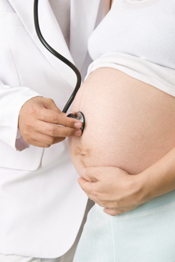 Pregnancy checks are provided by both doctor and midwife appointment. Our specialist Asthma Nurse holds regular clinics for the care of asthma patients. Advice about asthma is available from the Practice Nurse or at other times through Reception. Appointments are available by contacting The Knoll Reception. This clinic allows us to offer full care to all our diabetic patients either solely in the surgery or by shared care with the local hospital specialists. Appointments are available by contacting our Diabetic Specialist Nurse or may be made at The Knoll Reception. These clinics are held by Dr S Pomfret and Dr T Ashton at The Knoll Surgery. 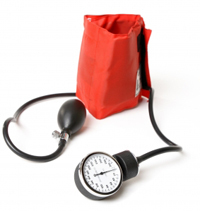 These are doctor and nurse led clinics at which we can review patients with a variety of heart conditions. The baby and pre-school immunisation clinics are held at the surgery each week. 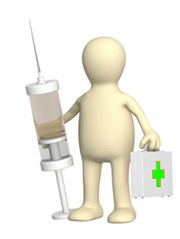 Your doctor or one of the practice nurses can give immunisations to older children. 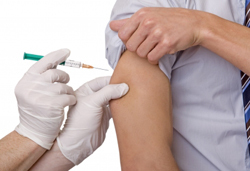 These clinics are for the administration of holiday or special vaccinations. As you may need more than one vaccination please allow enough time for the vaccination to take effect if you are travelling. Your doctor may ask you to attend for a blood test, or you may require these regularly as part of your treatment. Appointments for these tests are made in advance through the Receptionists and are available at both The Knoll and Kingsley. Appointments with the Phlebotomists are always in the morning. Please note we will contact you with the result of your blood tests; if you do not hear from us either by phone or letter within 14 days no action is required. We will contact you if anything needs to be done, this may be a simple -repeat test - or it may alter or begin a course of treatment. A Physiotherapist has a regular weekly clinic at Ellesmere Port Hospital. Referrals are all made via the doctor. There are regular clinics at the surgery and this can be arranged after consultation with your doctor. Not all of the services we are asked to provide come under the NHS provision of health services. Some services attract a fee, a full list of fee's is available at reception. For instance HGV / Taxi medicals attract a fee, some aspects of travel advice and immunisations attract a fee.